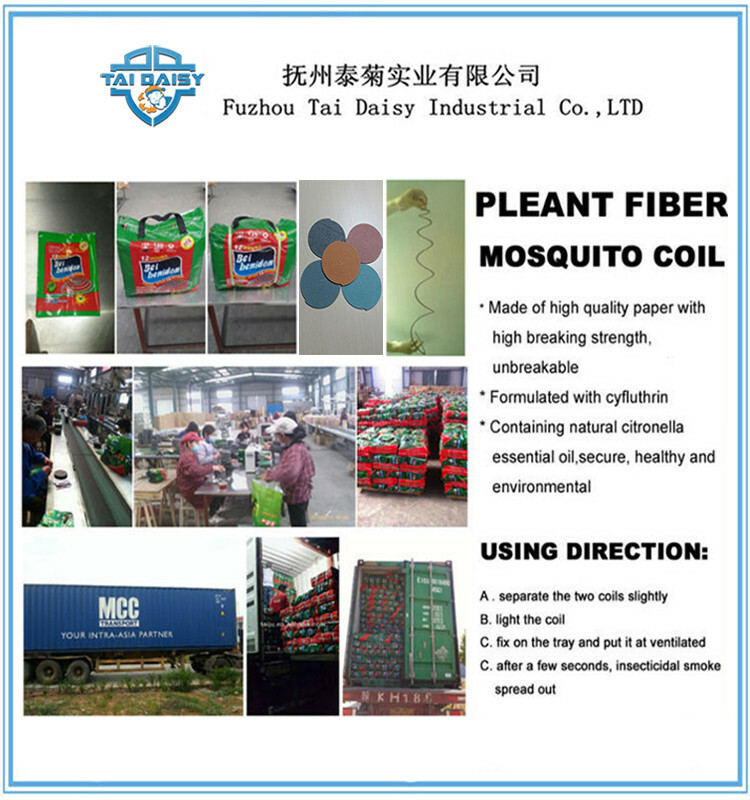 Find Plant Fiber Mosquito Coil, Fiber Mosquito Coil, Plant Fiber Paper Mosquito Coil on Industry Directory, Reliable Manufacturer/Supplier/Factory from China. 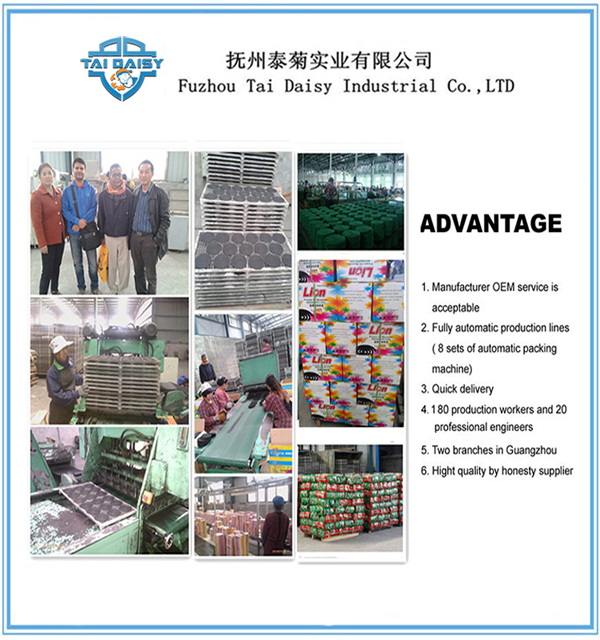 TaiDaisy mosquito coil is made up of high-grade raw material, adopting global lastest technology and employing advanced spray-spint technology. different smell as your requirements, such as Jasmine, Lemmon, sandalwood ,etc. 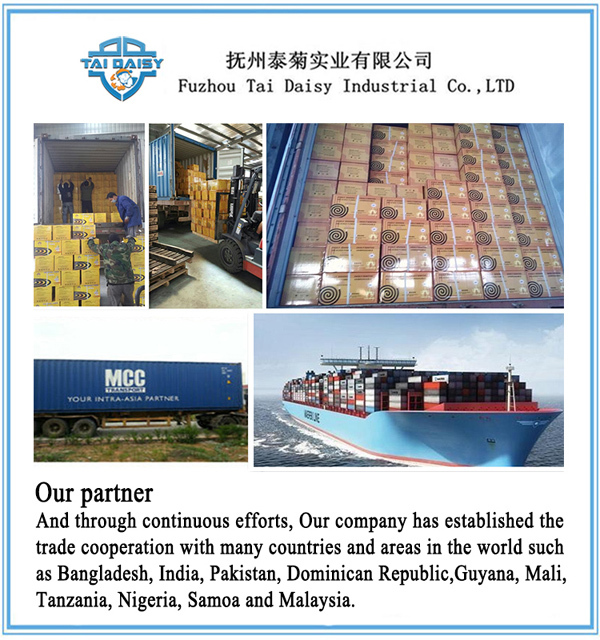 Contact us if you need more details on Mosquito Coil. 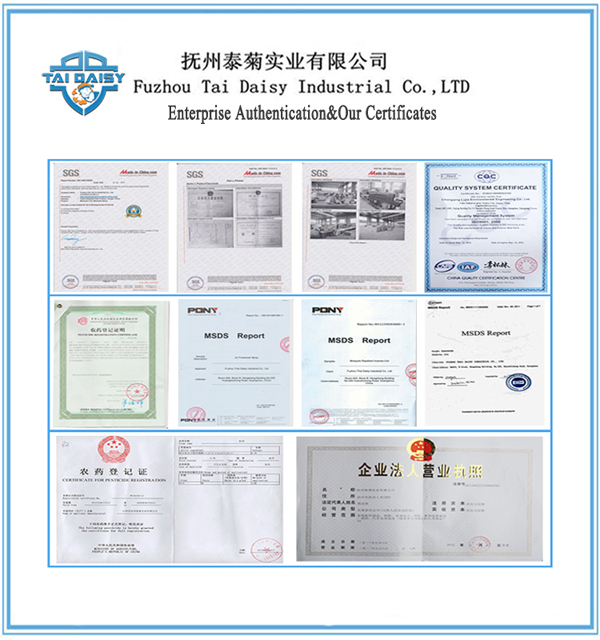 We are ready to answer your questions on packaging, logistics, certification or any other aspects about Paper Mosquito Coil、Plant Fiber Mosquito Coil. If these products fail to match your need, please contact us and we would like to provide relevant information.